If you’ve recognized the value of business blogging and made the commitment to consistent blogging as a part of your marketing strategy, then you’ll understand this familiar pain point. How do you get the most bang for your buck from each blog post? If you invest all the time, energy, and resources to publish a blog post that’s truly helpful to your target audience, why would you hit publish, share it immediately on social media, and then walk away and forget it? It doesn’t make sense, but too many individuals, organizations, and businesses are doing just that. They bank on organic search traffic to keep that resource alive – and, if it’s killer content, that often works. But that approach doesn’t maximize the return on the investment into that marketing asset. Extend the lifetime of your blog posts and maximize your return by learning how to automatically share old WordPress blog posts on Twitter. This is only step in the right direction, of course, but it’s one that takes you virtually no time to set-up, and then works in the background to help you keep extending the reach of your content. The Evergreen Post Tweeter Plugin is a free WordPress Plugin, publicly available in the repository. Bonus: Tom Ewer built this plugin – he’s a great guy and his work is quality. Once you’ve activated and selected your options, go ahead and select your schedule. 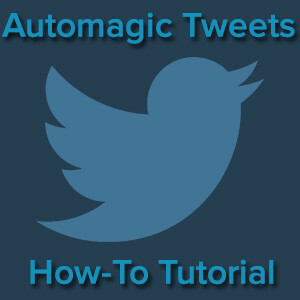 You can choose days of the week and times of day to publish your automated tweets. Set your schedule, update the plugin options, and you’re set to go! Keep in mind that this is simply one way to augment not only your Twitter strategy, but your holistic content promotion approach as well. It’s worth the effort to keep leveraging your blog content as long as it’s relevant and helpful to your target market.